This is fabulous. Please continue to use the wig. 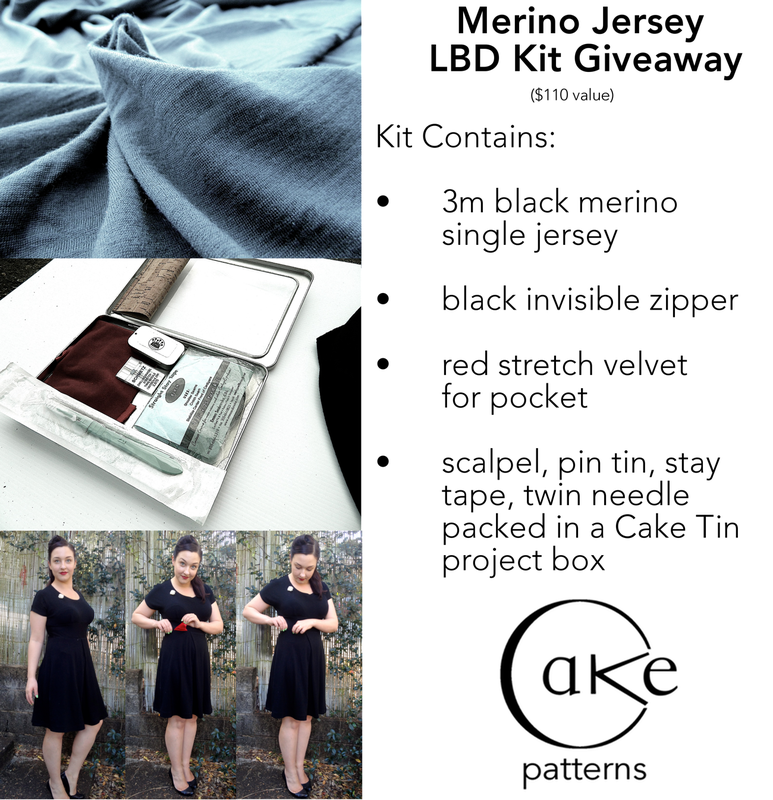 I feel slightly guilty for entering the giveaways, as I’ve already won some merino from you in a previous giveaway, but as there are no viable sources of merino jersey where I live, my shame is very minimal. MOOOAAAAR MERINOOOOOO. Also, earlier this summer I visited my grandma’s grave with my dad at the family cemetery in Tennessee. She died before I was born, but I feel incredibly connected to her. I was named after her and she was also a talented seamstress and knitter. I felt a little happy shock last Christmas when my aunt showed me a gorgeous fair isle jacket my grandma had knitted for my grandpa with a little woven tag sewn into that said “Handmade by Mary”. 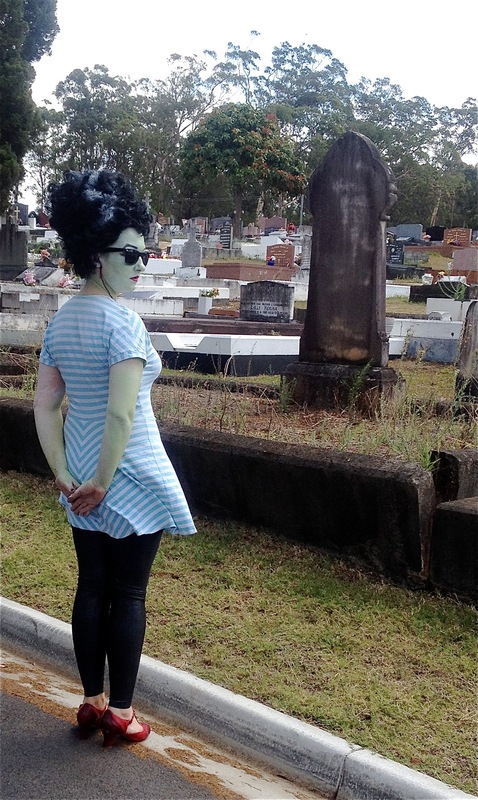 Anyway, I’ve been to that graveyard quite a bit. I have family buried there going all the way back to the Revolutionary War, but it’s not nearly as pretty and diverse as the graveyard in your post. I’m not very fond of cemetaries since I’m terribly afraid of death and dead people. This will sound ridiculous, but to me every dead person is a potential zombie… (who’s been watching too many horror movies?!) Cemetaries are ok in daylight, but since I’m also afraid of the dark I wouldn’t go near one when it’s dark. In Sweden, cemetaries are very green, with a lot of grass, trees, bushes and plants, very pretty actually (but not enough to get me near one in the dark …:)). Love your wig btw! And your whole outfit! The frankenpatterning is a success! In my long and bitter experience, it’s not the dead you need to worry about, it’s the living who can make yuour life hell. Hey Johanna- I’m scared of penguins. Actually, seriously, and unreasonably.. I avoid them as best I can, too. Hehe, I wonder how this cemetery would be at night? I’ll have to double dare Stephen sometime to go… ;) And thanks about the wig, it’s so much fun! After I did my face, Stephen said the arms needed work, too..
Fiona- I agree about the living making life hell. Then I thought… Hey, if other people have the potential to make my life hell and likewise I can make their life hell, then perhaps it is possible to try to make heaven instead…? Love the photo shoot! Franken-cake, haha! I find cemeteries fascinating, if they’re old and it’s a sunny day. Sad on rainy days. And downright scary-as-heck when it’s dark. There’s a great one here in Wellington, from the 1800’s, it’s right next to the botanical gardens. Lots of personality, and little paths meandering all over the place amongst big old trees…. 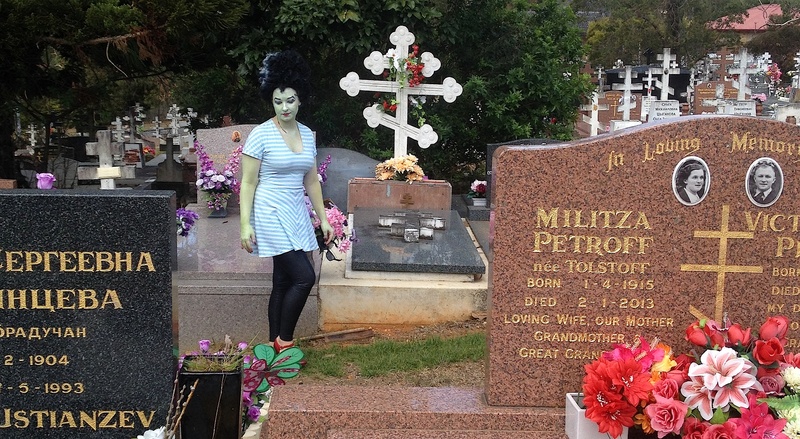 Oooh I’d love to see the cemetery in Wellington. I like to visit them when I travel if I can, they’re so revealing about a place and often beautiful and sad…. Happy Birthday, hope you have a happy and fun filled day…love the wig ! Thank you and hehehe the wig is so much fun to wear! Happy Birthday Steph! Hope you have a wonderful day! 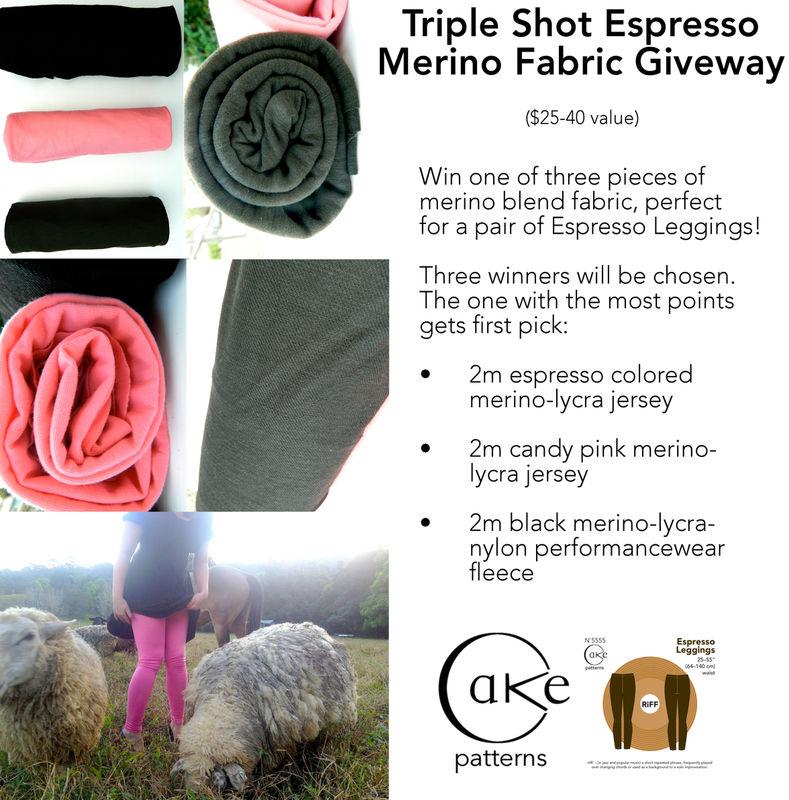 Thanks again for sharing all your wonderful merino with us. And all the knowledge you bring us to help us make quality sewn garments! I appreciate you. Our cemeteries are small bits of pastureland fenced off. Pretty regular looking. There are a couple spots with fancy metal fence around a very old grave from some of the first settlers randomly out here. Usually on top of a hill. “Regular” is so relative, isn’t it? Stephen thinks the cemetery we went to the other day was pretty ordinary, too… Those early settlers had such interesting, hard lives… You’ve read Little House On The Prairie, right? The Long Winter was one of my favorite books in the series..
Birthday greetings – what a fun post! 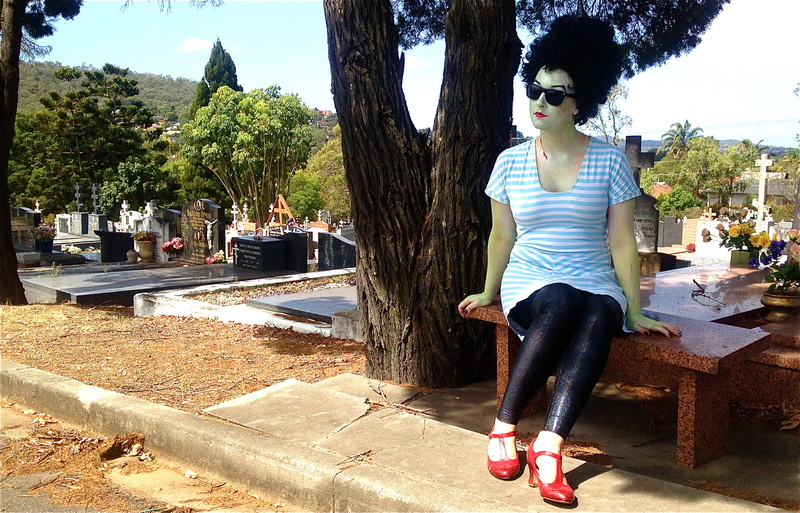 I adore cemeteries! So much interesting art, so many stories, so many cool names! Whilst living in Mobile, Alabama, I spent a good bit of time in the various cemeteries. On one occasion, I asked a groundskeeper for directions to the national cemetery (where soldiers are buried in honor). He gave me a hairy eyeball and growled, “You’re standing in it.” Oops. I was in the Confederates’ Rest section of one of the older cemeteries. They are still a little touchy over the Civil War (in fact, Memorial Day wasn’t a holiday in Mobile until the 1990s. We celebrated Decoration Day, instead — where you decorate the graves of your deceased with grave blankets and flowers). That’s really interesting! The feelings over that war run so deep, don’t they? At least Alabama can have Memorial Day now… I like having holidays that focus on looking after the dead/graves etc… It’s nice, death is a part of life as much as singing or dancing or eating, isn’t it? Nice Frankenpattern! And, Happy Birthday Steph!! Hope you had a great one! You look epic love the look. You can serious rock green! Hey, I didn’t know it was your birthday. Many happy returns. 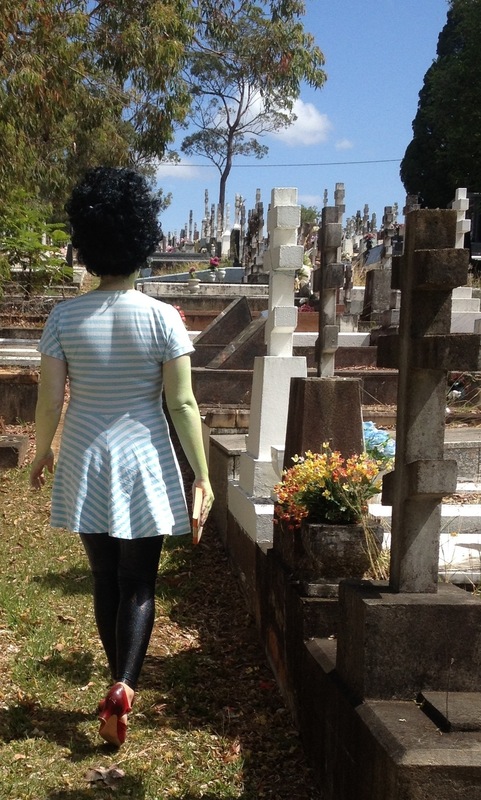 We often visit the cemetery to lay flowers on the family graves. It’s very peaceful. Happy Birthday Step. I have been thinking about making a Hummingmisu but just haven’t gotten around to it. I thought that would be a nice easy to wear fun dress for summer. So it’s nice to see the Cake Designer actually to it :) I am definitely going to make mine now. For some reason I like the idea of the cupboard headstones, maybe it just appeals to my inner librarian! Hope you have a great birthday. I miss this website. I wish I could find one like it, where someone is sewing regular clothes from regular patterns and giving useful tips about what works and what doesn’t.